“Vibrations of Love” – art print by Heather Brewster. This image manifested after taking a Chakra course, learning the characteristics of each chakra, particularly the Heart chakra. 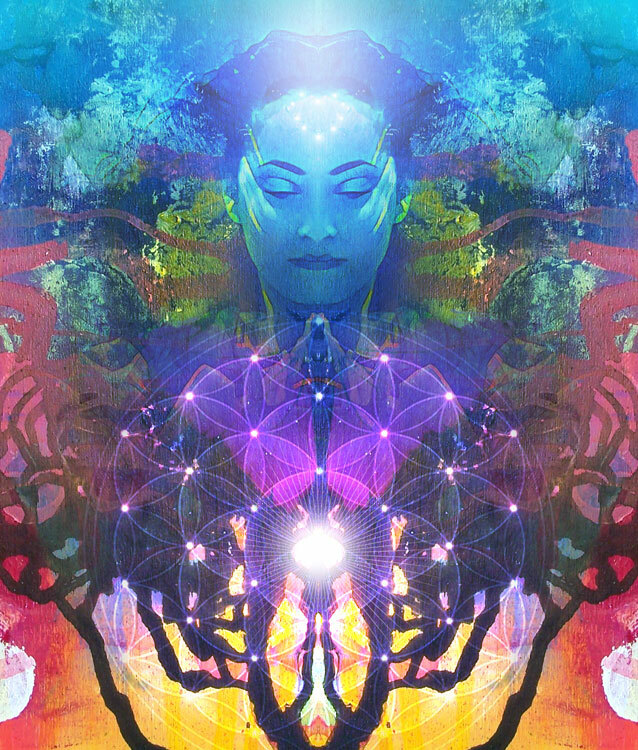 Being dominant in the heart chakra can present challenges with being empathic, but I now know to just focus on bringing the love energy and healing to what ever space I come into. This image represents the vibrations of love to project out and share with the world. Using sacred geometry “The Flower of Life” and a bright light coming from the heart chakra is representing love & compassion, and notice a crown of lights that form a heart shape on her forehead, to help the mind keep focused on love and not get distracted. This is a high quality print, produced on premium luster paper using archival inks to guarantee that they last a lifetime without fading or loss of color. * SPECIAL Early Bird Pricing for the first 10 orders! You will receive 50% off regular pricing if you are one of the first 10 people to order, after that it will be regular pricing.